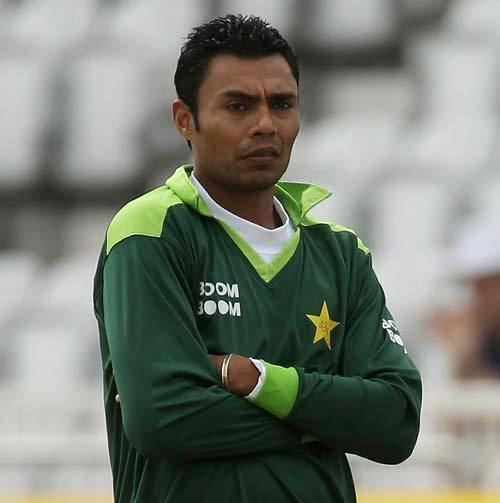 Danish Prabha Shanker Kaneria (born 16 December 1980) is a former cricketer who played at Test and One Day International (ODI) for the Pakistani national side between 2000 and 2010. A right-arm leg spinner known for his well-disguised googly, Kaneria holds the record for most international wickets by any Pakistani spin bowler. He is fourth on the list of bowlers with most Test wickets for Pakistan, behind only fast bowlers Wasim Akram, Waqar Younis and Imran Khan. 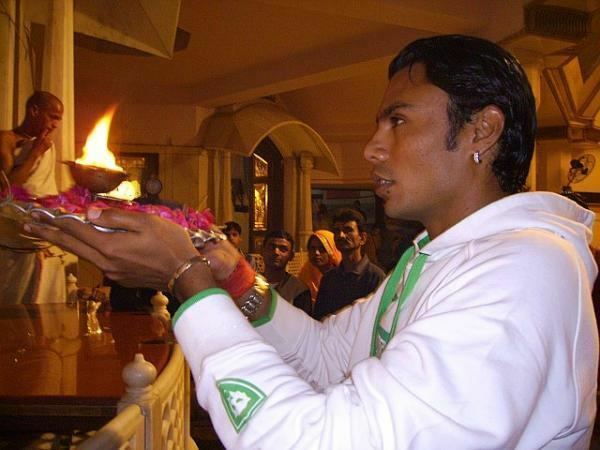 Kaneria was only the second ever Hindu to represent Pakistan in International cricket after Anil Dalpat. Kaneria played 61 Test matches for Pakistan, and took 261 wickets at an average of 34.79. He represented the team only in 18 ODIs taking 15 wickets with an average over 45. In Test cricket, Kanerias best bowling performance in an innings was seven wickets for 77 runs whereas his best performance in a match was 12 wickets for 94 runs, both against Bangladesh. He also took 15 five-wicket hauls in Test cricket, and achieved seven and six wickets in an innings on four and three different occasions respectively. He took ten wickets or more in a match on two different occasions, once against Bangladesh and Sri Lanka each. In ODI cricket, his best bowling came against New Zealand in Sri Lanka in 2003 taking three wickets for 31 runs. Kaneria never played Twenty20 International matches (T20I) for Pakistan. He played 206 first-class matches, 167 List A (LA) and 65 Twenty20 matches during his career. Kaneria also played in English county cricket during 2004 and 2010 representing Essex County Cricket Club. After allegations of being involved in spot fixing, Kaneria was given a lifetime ban by the England and Wales Cricket Board (ECB), preventing him from playing in matches under their jurisdiction. He subsequently filed an appeal against the ban, but this was rejected in July 2013. 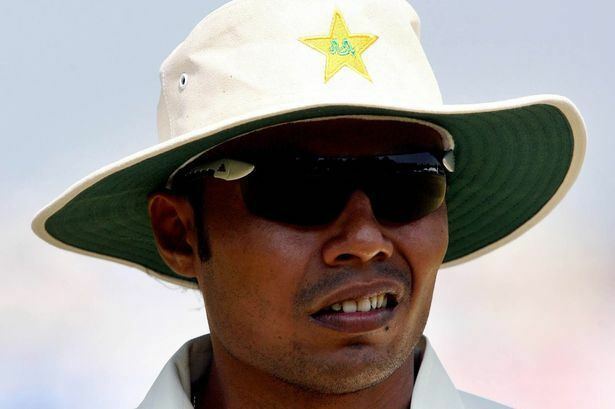 Kaneria was born in Karachi, Sindh on 16 December 1980. Nicknamed "Danny" and "Nani-Danny", Kaneria attained Government Islamia College in Karachi. Kaneria belongs to the Hindu community of Pakistan. Former Pakistani Test wicket-keeper Anil Dalpat is his first cousin, and Kaneria is the second Hindu after Dalpat to represent the Pakistan team. Kaneria represented National Shipping Corporation, Karachi Whites, Pakistan Reserves, Habib Bank Limited cricket team (HBL), Karachi, Essex, Karachi Blues, Karachi Zebras, Karachi Harbour, Sindh cricket team, Baluchistan Bears, Karachi Dolphins and Pakistan A cricket team at domestic level. He started his first-class career when he played a match for National Shipping Corporation against HBL in 1998–99. He conceded 86 runs and took two wickets in the match. 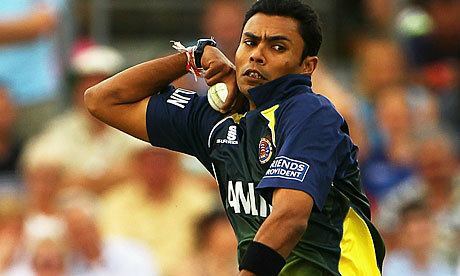 Kaneria played 206 first-class matches during 1998–99 and 2011–12, and took 1,024 wickets at the average of 26.16. His economy rate remained 2.98 and a strike rate of over 52. Kaneria took 71 five-wicket hauls during his first-class career. He also took ten or more wickets in a match on 12 occasions. He played his last match of that format against the Punjab cricket team at the Gaddafi Stadium, Lahore while playing for Sindh in February 2012. His best performance for an innings was eight wickets for 59 runs. As a batsman, Kaneria scored 1,918 runs in 264 innings at the average of 10.71 including a half-century. His highest score in first-class cricket remained 65 runs. Kaneria played his first LA match for Karachi White against Quetta cricket team in April 1998–99 at the United Bank Limited Sports Complex, Karachi. He conceded only 16 runs in 10 overs without taking a wicket. Kaneria played 167 LA matches during his career taking 262 wickets at the average of 22.70. He took eight five-wicket hauls and nine four-wicket hauls in the format. His best performance in LA was seven wickets for 39 runs. Kaneria also scored 379 runs in LA cricket at the average of 9.24 in including his solitary half-century. His highest score in the format was 64 runs. He lastly represented HBL in an LA against Pakistan International Airlines cricket team (PIA) at the Gaddafi Stadium. Kanerias first T20 match came in April 2005 against Lahore Eagles while playing for Karachi Zebras. He played 65 T20 matches between 2005 and 2012 and took 87 wickets at the average of 18.78. He took two four-wicket hauls in T20s, and his best bowling performance in the format was four wickets for 22 runs. Kaneria scored 104 runs in T20s, and his final match came against the Peshawar Panthers playing for Karachi Zebras. Kaneria played English County Championship between 2004 and 2010 representing the Essex. He impressed in county cricket, taking 32 wickets in seven championship matches for Essex in 2005. Although unable to play English county cricket in 2006 due to Pakistans tour of England, he returned to play for Essex in 2007, taking 107 wickets for the County in all forms of the game. He played for Essex again in 2008, although he missed the start of the campaign due to his wife giving birth to their second child. Kaneria suffered a broken finger in Essexs LV County Championship Division Two match against Worcestershire County Cricket Club (Worcestershire CCC) at Colchester on 21 August 2008. The bowler was injured attempting to take a catch off Ben Smith. An X-ray confirmed he had broken a finger and he missed the remainder of the 2008 English domestic season. Kaneria is married to Dharmita Kaneria and has a daughter Parisa Kaneria and a son Danish Kaneria Jr. He is the first cousin of former Pakistani wicket-keeper Anil Dalpat.